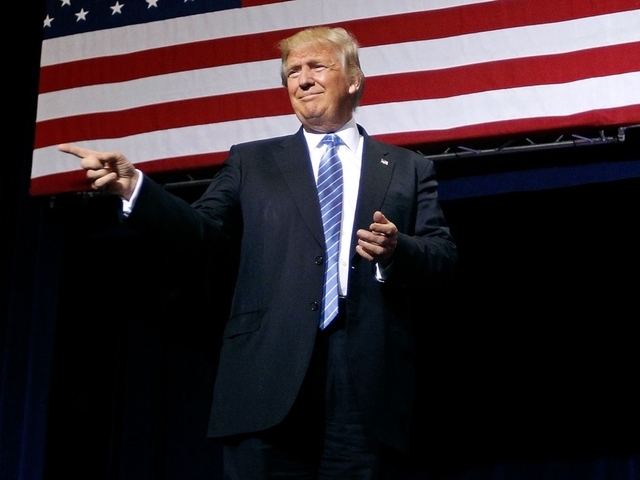 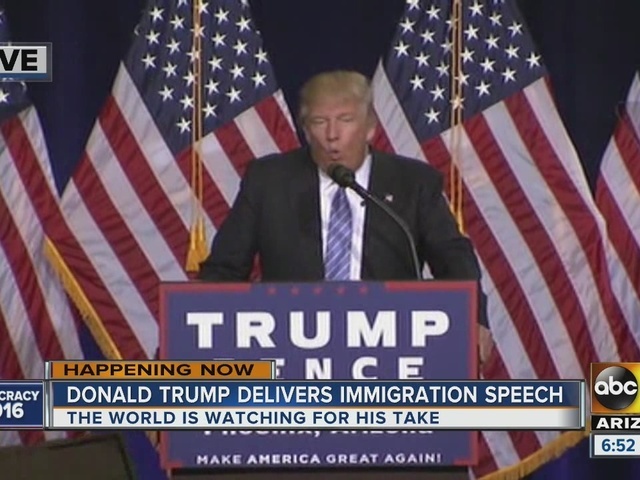 Donald Trump visited the Valley to deliver a heated immigration speech at the Phoenix Convention Center on Wednesday evening. 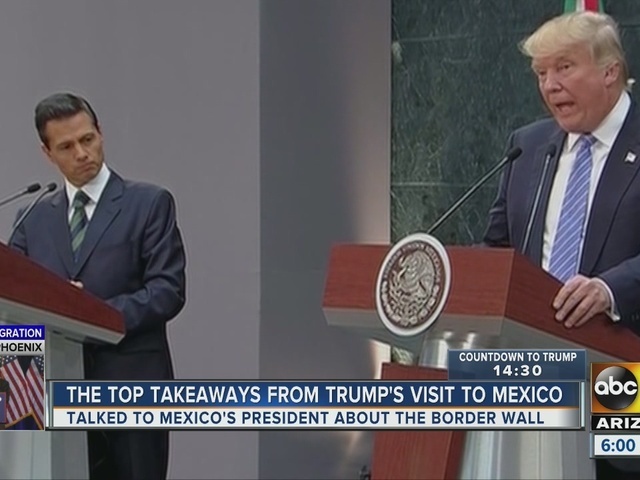 He addressed the crowd after visiting Mexico and delivering a much tamer speech alongside Mexican President Enrique Peña Nieto. 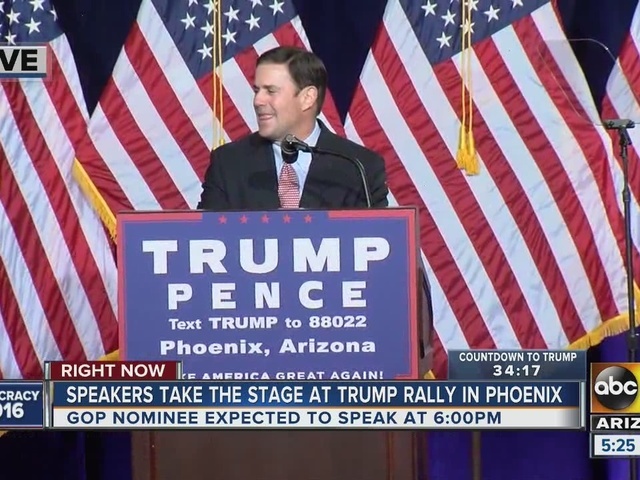 At the Phoenix speech, Trump took the stage to deliver a policy plan on immigration that he says he would implement on day one of his presidency. 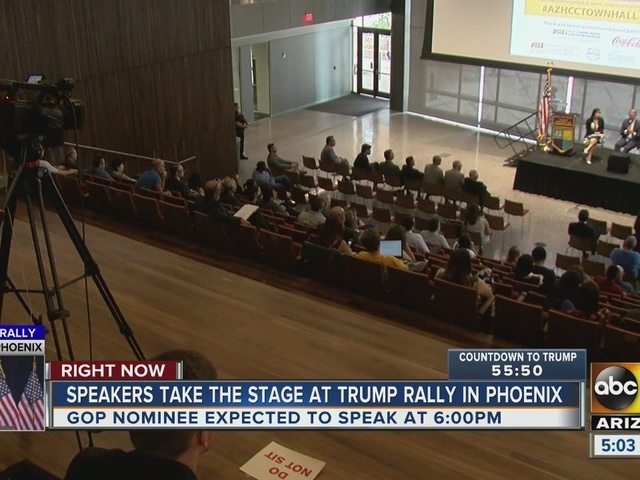 Prior to Trump taking the stage, several local and national politicians, including Governor Doug Ducey, Sheriff Joe Arpaio, and former New York Mayor Rudy Giuliani, spoke. 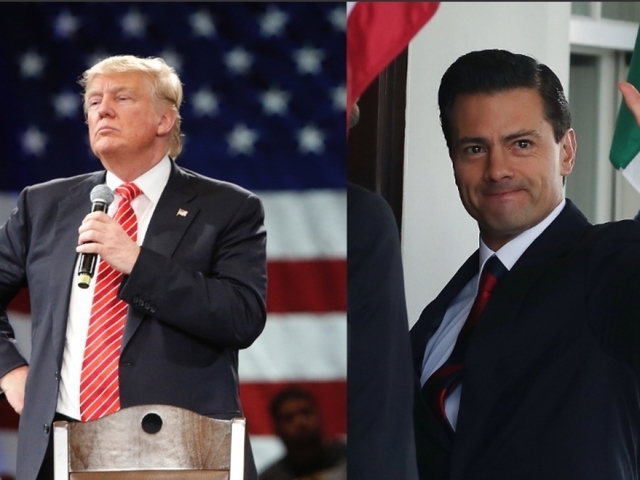 Watch each politician's speech, in full, below.